Paris is known for, among other things, its theatre. Institutions like the Théâtre de l’Odéon and the Comédie-Française, for example, come immediately to mind. Lost to history, however, is Théâtre Lancry: the first and most important site of Yiddish theatre in Paris. First built in 1880, Théâtre Lancry was intended as a small space for community gatherings. It seated around 400 and had a modestly designed main hall and seating space, an orchestra level, and a balcony. Located in the 10th arrondissement near the Place de la République and the Marais at 10 rue de Lancry, the building quickly became a hotbed for Yiddish theatre when the Théâtre Israëlite de Paris opened in 1903. Théâtre Israëlite was a small, short-lived, but important phase in the development of Théâtre Lancry as the center of Parisian Yiddish theatre. In 1903, Théâtre Israëlite hosted a production of Joseph Lateiner’s Daniel in leyvn-grub (Daniel in the Lion’s Den) and in 1912, Ester fun eyn-gedi (Ester from Ein Gedi) came to town. The poster publicizing Ester fun eyn-gedi even talks about welcoming Avrom Goldfaden’s brother Shloyme and, after doing a bit of bait and switch, it hints at the possibility that Avrom himself will appear as well. These performances, however, although hosted in Paris, were given by actors from abroad—primarily from London—meaning that although Paris now had a permanent space in which to stage Yiddish theatre, it still needed to develop its own Parisian Yiddish theatrical identity. It wouldn’t be until after World War I that a long-lasting Yiddish theatre scene would begin take shape. “Lancry,” as it was known by the interwar years, was centrally located near the working class quarters of interwar Paris. Lancry was not a new point on immigrant Jews’ map of the city, however. It was “a veritable ‘stock exchange’ for newly arrived immigrants; you could spend a first night there, find work as a dressmaker or mechanic in the garment industry, or simply chat and make some new acquaintances.” Lancry was both the center of Jewish theatre and the host of several Jewish organizations, including the Kultur-lige pariz (Culture League Paris) and several hometown associations (landsmanshaftn). Library card from the Kultur-lige pariz’s Sholem Aleichem Library , which was located at 10, rue de Lancry. By the 1930s, Lancry was the center of Yiddish Paris. Several groups, including those that did not use administrative space at Lancry, used the main hall for events, reflecting the full spectrum of Jewish and French cultural and social life in Paris within the same day. For example, on October 1 & 2, 1930, Lancry hosted 700 attendees for Kol Nidre (the evening service before the full-day holiday), and 800 attendees for Yom Kippur. After services on October 2, a “theatrical performance given with the help of Jewish artists” began at 8 p.m. and ended at a quarter past midnight. That theatre performance highlights the fine line between secular theatre and religious ritual gatherings that Lancry represented for the community. 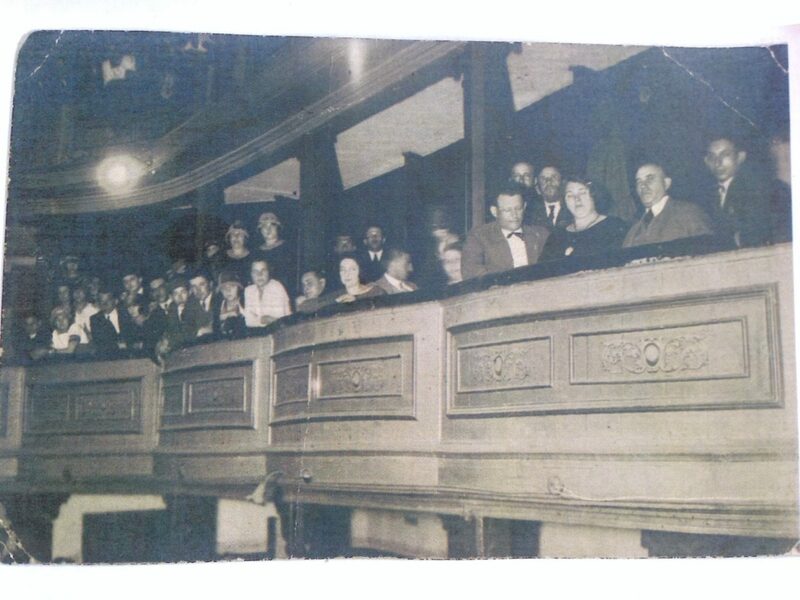 During the late 1930s, Lancry hosted both cultural and political groups; the theatre provided a space within which any number of groups could host meetings. For example, the Ligue internationale contre l’antisémitisme (LICA/International League Against Antisemitism [now known as LICRA/International League Against Racism and Antisemitism]) used Lancry’s theatre hall for a series of meetings. On April 23, 1934, one of its programs began at 9:20 in the evening; 470 people attended, including Bernard Lecache, founder and director of LICA. Lancry also hosted French, non-Jewish, non-Yiddish-speaking antifascists. On February 6, 1937, the three year anniversary of the 1934 right-wing, antiparliamentary riots, the Comité de liaison des Jeunesses antifascistes (Antifascist Youth Liaison Committee) organized a meeting at Lancry, and on July 14, 15, & 16, 1939, Le Congrès de Solidarité Internationale Antifasciste (The Congress for International Antifascist Solidarity) was held at Lancry. During the mid- to late-1920s, Lancry was a busy place. At the Kultur-lige pariz, recent immigrants took French language classes, which were often fully enrolled. The Kultur-lige regularly urged community members to enroll while space was still available. Paula Hyman says that, although active, the Kultur-lige struggled to attract members. This may be true, but clearly a dearth of fee-paying members did not signify unsuccessful programming. Initially, approximately 60-70 people held memberships, which cost 3 francs per month, but one did not have to be a member in order to participate in activities. The ground floor of Lancry had four large classrooms, which housed their highly enrolled French classes. Another classroom was occupied by a science course taught by Professor Kivelovitsh. The second floor of the building had space that was regularly commandeered to meet the Kultur-lige’s need. Jules Jacoubovitch recalls, “It was such a joy to see these young men and young women, talk, read, write … [sometimes] sitting on the stairs due to lack of space. More than a thousand souls crowded into the stairs, the corridors, these classes. Activities that suffered most from the lack of space were the courses, conferences, and choir.” If needed, as on more than one occasion it was, the Lancry could fit 600 people within its 400-person capacity theatre hall. Poster for the premiere of PYAT’s Keytn (Chains) at Théâtre Lancry, July 26, 1937. During the 1930s, Lancry hosted numerous theatrical performances, and was the main stage on which the theatre troupe the Parizer yidisher avantgarde teater (originally named the Parizer yidisher arbeter theater and known widely as PYAT [1934-1945]) staged many of its performances. After the war, Lancry was renamed Théâtre de la République and continuted to act as a center of Parisian Yiddish theatre, playing home to the Yidisher kunst teater (Yiddish Art Theatre, YKUT), which was the postwar incarnation of PYAT. In June 1953, Lancry closed. The façade and interior of 10, rue de Lancry in May 2013. The façade and interior of 10, rue de Lancry in May 2013. In this photo, you can see the old marquee lights. You can still walk down rue de Lancry, as I did one day with my friend and colleague Érez Levy in the summer of 2014, and see remnants of the once great center of Yiddish theatre in Paris. At last visit, the old marquee lights were still affixed to the building’s façade. The building is undergoing a renovation, however, so it is unclear for how long these mementos will be on display. What is clear however, is that 10 rue de Lancry is one of the important points on the map of Yiddish Paris. It was the site of Théâtre Lancry, the forgotten center of Yiddish Paris. Underwood, Nick. “Théâtre Lancry: The Center of Yiddish Paris.” Digital Yiddish Theatre Project (May 2017): Accessed Apr 25, 2019. 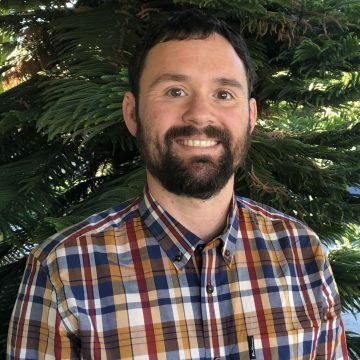 Nick Underwood is a Visiting Fellow in the History of Migration at the German Historical Institute West at the University of California, Berkeley.